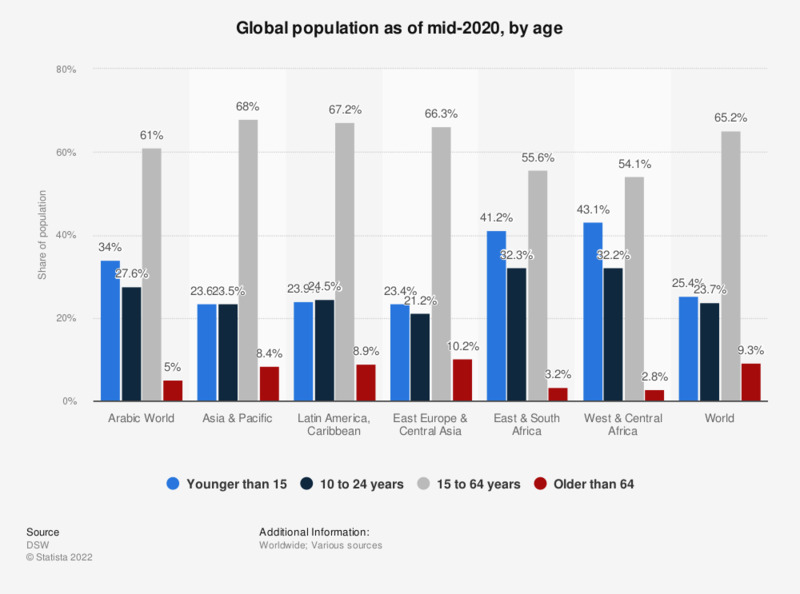 The statistic shows the global population as of mid-2017, sorted by age. In mid-2017, approximately 16 percent of the global population were aged between 15 and 24 years. * According to the source, data was taken from most recent national census, official information of individual countries or estimates of the PRB, the United Nations or the U.S. Census Bureau. The source does not specify the age group between 25 and 63 years, but calls it "Other" ("übrige Bevölkerung").